A conveniently located and beautifully light two bedroom mansion flat with recently refitted kitchen and well proportioned principal rooms.The flat is in good order throughout and offers a part furnished let of outstanding quality. Askew Mansions are located in the mid section of Askew Road opposite Sainsburys and the Ginger Pig butcher and Deli.The maisonette is approximately 10 minutes walk from Ravenscourt Park (District Line tube), and minutes from the 94 bus route east and west on Goldhawk Road, which gives ease of access to Westfield and the Central Line tube and mainline stations. 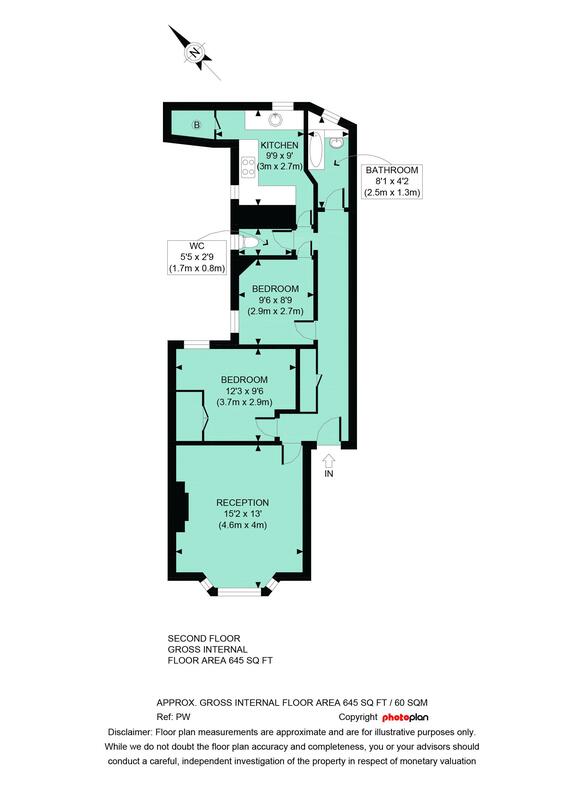 645 sq ft / 60 sq m approx.